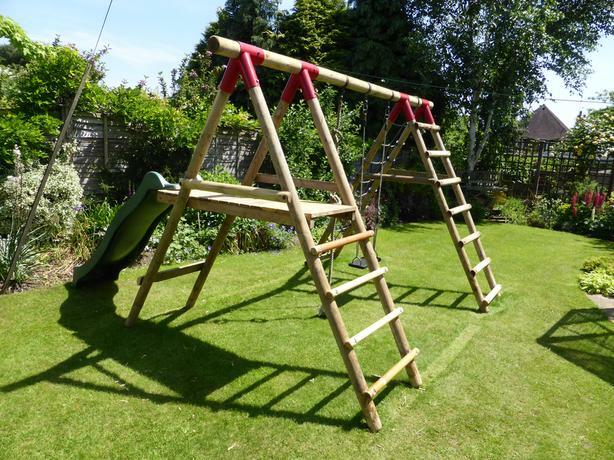 Large wooden climbing frame approx 3.5 m x 2 m. It has a swing, climbing net, climbing rope, platform, ladder and slide. The slide is adjustable for position. The platform could be made into a den. Fully refurbished (wood treatment etc) . Possibility of assistance with delivery.